Pull up banners are one of the oldest yet most effective exhibition display tools. There are a few things that go into making an exhibition solution a success: such as a stylish, professional design, a functional, high impact presence, the ability to transport your display easily and an investment that will last you years. Each pull up banner comes with a base, a printed graphic, a supporting pole and a padded carry bag as standard. Pull up banners with a slimline base – such as the Grasshopper pull up banner – also come with stabilising feet to keep the banner steady. Pull up banners take just a matter of minutes to assemble. The entire process takes roughly two minutes, meaning you can spend more time on the things that matter most and not on the complicated assembly of your stand. The Grasshopper banner is our bestselling entry-level banner. It comes in a wide range of widths, making it perfect for any brand or any event. As we’ve mentioned, there are many types of pull up banners, each one with their own features and benefits. We recommend this banner to businesses who exhibit once or twice a year. The slim-line base is assisted by twist out feet to ensure the display is stable and steady. The feet simply pull out and twist into place – so even though it may seem like there are more elements to this pull up banner, the assembly remains effortless. It is supplied with a carry bag for easy storage and transportation. If you need a pull up banner that is suitable for multiple uses throughout the year, then we recommend our Excaliber 2 double sided banner. It comes with a slightly wider base than the Grasshopper roller banner, meaning there is no need for twist out feet as it is stable on its own. In addition, it is double sided, meaning you can get 360-degree brand promotion without any extra assembly effort. 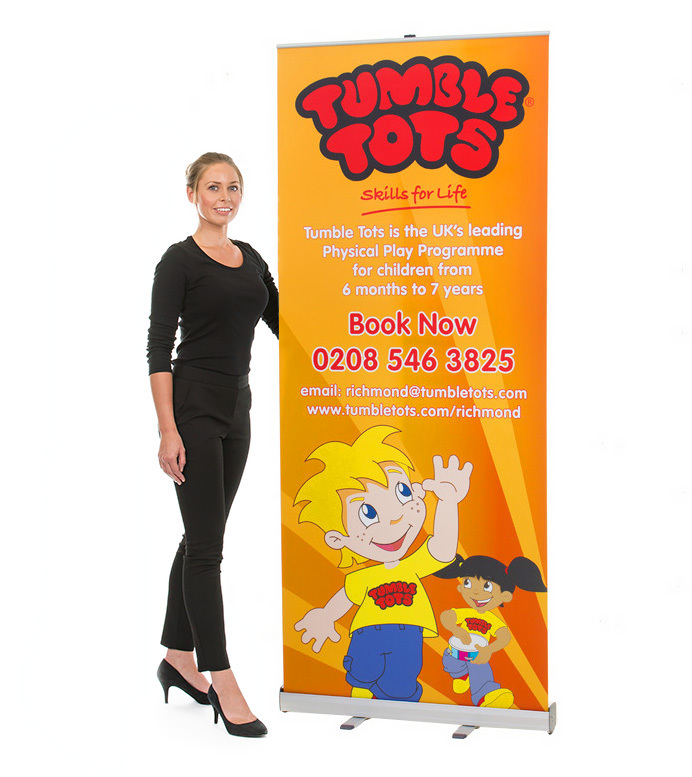 We recommend double sided pull up banners for high traffic areas as the wide base provides extra stability when in use. The Merlin and Imagine roller banners are a part of our replaceable cassette pull up banners range. They are perfect for businesses that change their marketing message frequently and need to refresh their display often. The cassette simply drops into the base and the graphic pulls out. The replacement cassette with printed graphic costs less than our entry level roller banner, making it a more cost-effective solution long term. 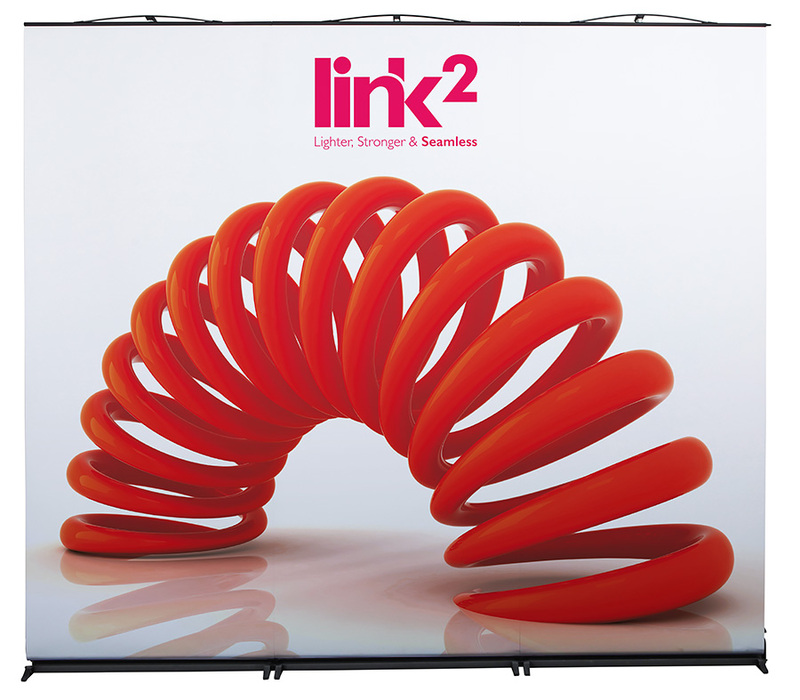 The Link2 banner is our most unique pull up banner solution. It is the only pull up banner in the world that can be linked. This means that with the use of a linking panel, you can add as many banners as you want in any shape you want – allowing you to create a bespoke display without the hassle. The graphics are easily changeable without the need for sending the complete unit back. Simply order a replacement graphic and attach it yourself. If you’re looking for an outdoor solution, then the Thunder double sided banner is the perfect choice. Complete with ground pegs to keep the banner secure in adverse weather conditions, the Thunder pull up banner is a go-to solution for brands looking to market themselves outside. At XL Displays, we manufacture the UK’s largest range of pull up banners. We have something for every event and every budget. If you need any help or advice choosing a roller banner, contact us or call our dedicated sales team on 01733 511030.